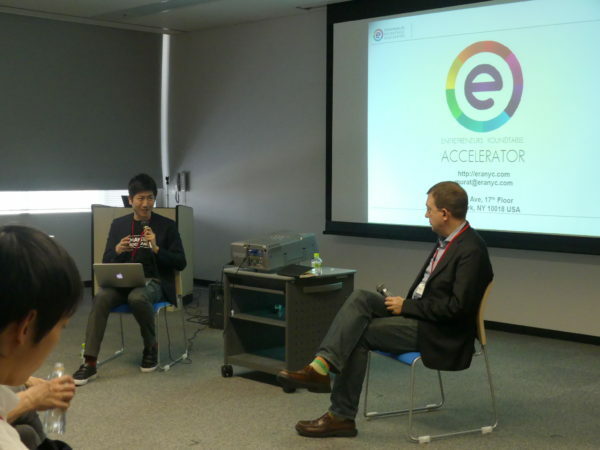 Keihannna Research Complex has just started an alliance with New York City’s leading accelerator, Entrepreneurs Roundtable Accelerator (ERA). We’re going to provide global cooperation to both large enterprises, which are core members of Keihannna RC, and rising start-up companies that will bring innovation to the world. As a first step, we held a special event co-hosted by Mr. Aktihanoglu, Managing Director of ERA. Session 1 : How large enterprises take advantage of accelerators in U.S.
At the leading edge of open innovation in NYC, people are paying attention to cooperation between start-ups and large companies, as well as the M&A activity that large companies carry out jointly with influential accelerators. Mr. Aktihanoglu, who has played an active role in this development, talked about the latest trends in open innovation. 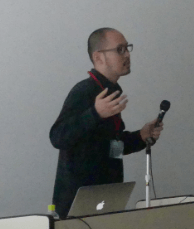 In addition to his speech, he held a panel discussion covering perspectives on open innovation along with Mr. Narimasa Makino, who was a co-founder and CEO of Makers Boot Camp, a hardware accelerator based in Kyoto. Questions such as “How should I expand business globally?” and “What elements are needed for start-ups?” were asked by entrepreneurs and investors at the venue, and useful advice and information were given. 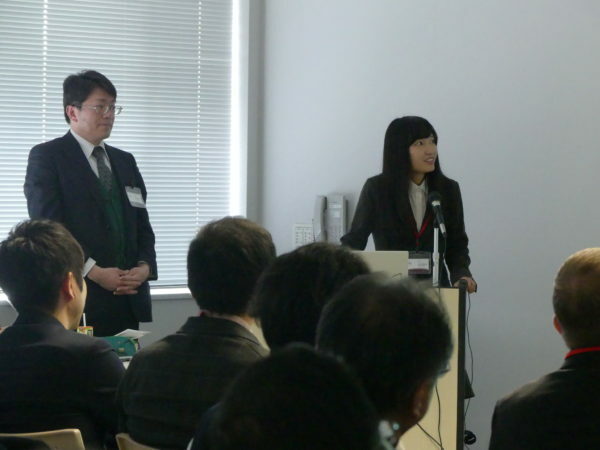 We held Keihanna RC’s first pitch session. 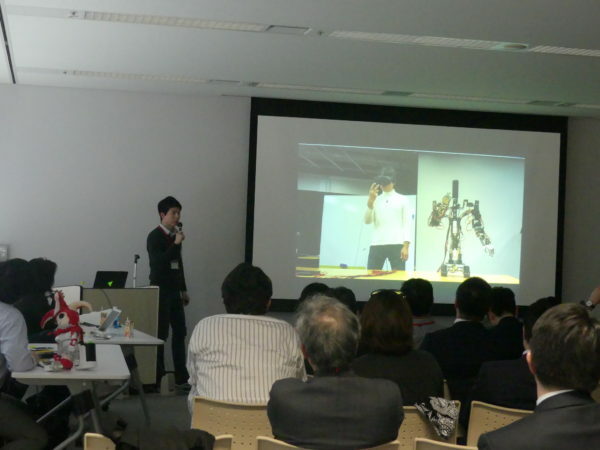 Five Japanese startup companies, whose businesses are related to i-Brain & ICT, presented their businesses. 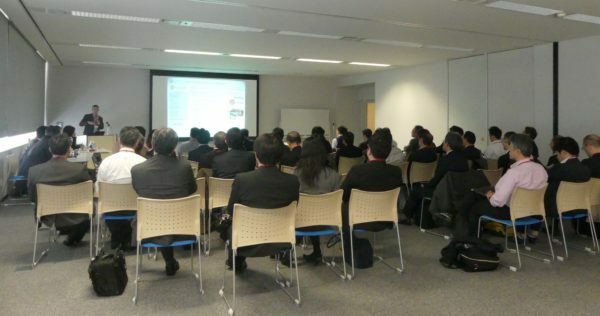 Many questions were asked by Mr. Aktihanoglu, Mr. Makino, investors, researchers and entrepreneurs. 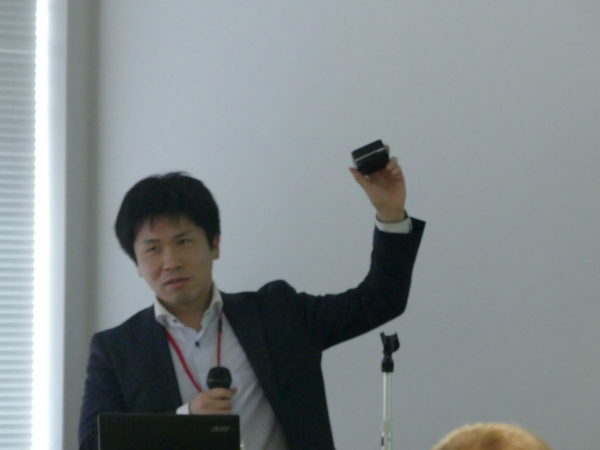 Mr. Aktihanoglu ended with a general comment, saying some start-ups were very interesting and he was looking forward to cooperation with Keihanna RC. Consequently, we can expect this to lead to global business development in the near future. We had time to view demonstrations by start-ups and exchange business cards and ideas. The active communication continued up until the last moment of the event. We will provide ERA linking programs to accelerate open innovations between large Japanese companies and startups in NYC and to support Japanese start-ups that want their business to expand globally. As a start, this will be pursued with the five start-ups that made presentations at the event.